The organic certification system in Ontario (and Canada) is not perfect. As part of our work, OCO advocates for improvements to the system to support small, diverse farmers. This is the story of Seb and Bethany from Zocalo Organics, and their struggle with the organic certification system. (This is an abridged version of the full story, available on Zocalo’s website). 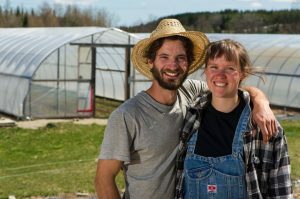 Zocalo Organics is a member of the Organic Council of Ontario and an example of one of Ontario’s excellent small, diverse farms. 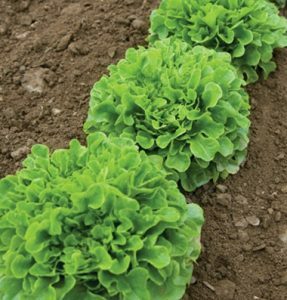 Until this year, Zocalo has sought organic certification every year, because they felt it was important that all certified organic growers follow the same best practices and that consumers have third-party validation in less direct client relationships. In the past, a small farmer could ask their organic inspector questions if they needed help interpreting the standards. Recently, inspectors and certifying bodies have become less willing to offer such advice. Individual farms, whether big or small, are expected to be experts on the standards. Small farms usually do not have the resources to do anything other than interpret the standards themselves. 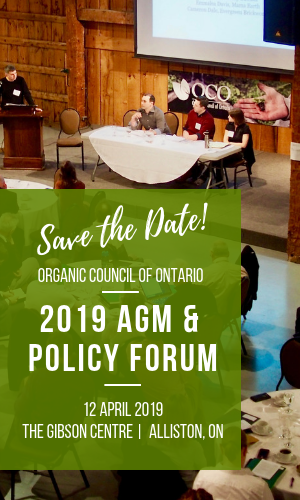 The Organic Council of Ontario is currently looking for ways to provide inexpensive or subsidized support services for farms that don’t have the resources to provide their own. There is also inconsistency in the interpretation and application of the standards by inspectors and certifying bodies. The standards are not always applied equally to all farms. Where one certifying body might ask for documentation on one tool or practice, another certifying body might overlook it. This means that seeking advice from peers can lead to problems. And this is exactly the situation Zocalo found themselves caught in this past season. very popular in organic growing, and other certified farmers they know had been growing it– but none had ever received a non-compliance. The seed comes in pellet form to make planting easier. While the seed is allowed under the USDA’s National Organic Program, the pellet has not officially been approved for use in Canada. Seb and Bethany weren’t aware of this, and planted the lettuce without understanding the repercussions of their actions. Unfortunately, the company that does the pelleting has only disclosed their ingredients to the American regulators, so although it is listed as organic on the seed company’s website, it has not yet been formally approved by any Canadian certification body. There are a number of ways that Zocalo could respond to this issue. They could take legal action, because their certifying body didn’t notify them of the issue until after they had planted, even though they sent their seed lists in March. But this would have to happen at their own time and expense. They could get the pellet tested to prove that it contains only clay, but this won’t help. Legally, the certifying bodies need to receive ingredient lists from the pelleting company itself. They could to go the Standards Interpretation Committee to appeal the decision, but Zocalo has chosen to forego the additional stress of this process. They have notified their certifying body, the Organic Federation of Canada, as well as OCO, of the issue. So, they asked their customers for input, and with blessing from their loyal clients, decided to stop seeking organic certification for now. Luckily (or by careful design), Zocalo has a core group of customers who trust their farmers and don’t feel that they need certification to maintain that trust. Streamlined paperwork (such as online forms that pre-populate from previous years). Updates to the Organic Products Regulation requirements that are geared toward large-scale, commodity producers (such as lot numbering and mass balance auditing) and are difficult for diverse producers to meet. There is no quick and easy solution for problems like that faced by Seb and Bethany. But as an industry, we must advocate for improvements to the system that governs us. This one of the reasons OCO exists. Please contact us if you have a similar story to share, or would like to support OCO in advocating for supports and changes that will make certification easier for small, diverse farmers.